Congratulations on your upcoming wedding day! We work with couples who are to be married on choreography for their First Dance, Father and Daughter Dance, as well as teaching moves for social dances for the reception! 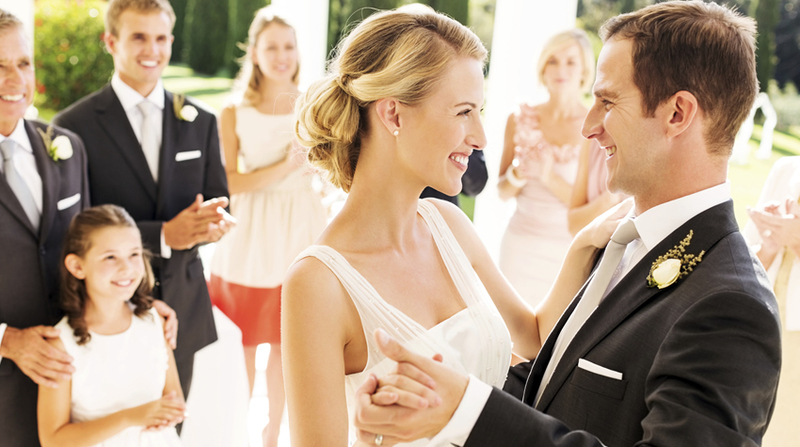 Get you and your fiancé started now on your 40-minute private wedding consultation with initial dance lesson! We will need you to bring your music selection for your first dance. At that time we will try some basic dancing to your song. Then you will be presented with a variety of Wedding Programs we offer. The cost of the consultation is just $40.00 for the couple. We can schedule wedding consultation anytime Monday – Friday between 12:00 noon and 10:00 pm and on select Saturdays. Please call us at 919-872-0111 as soon as possible to get started! You will be AMAZED with your wedding dance!